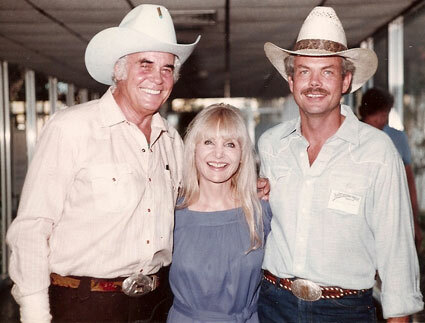 Grace Bradley Boyd with two former Hopalong Cassidy sidekicks, Jimmy Rogers and Rand Brooks. 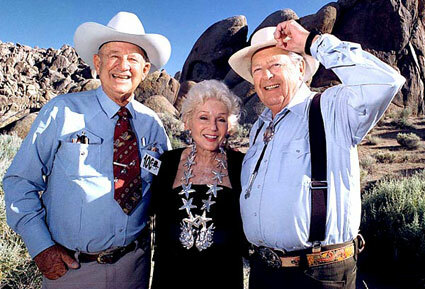 Taken at Lone Pine, CA. 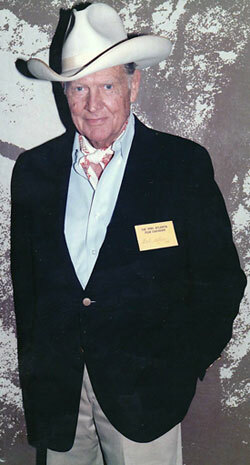 Ray “Crash” Corrigan at the Memphis Film Festival in 1975. 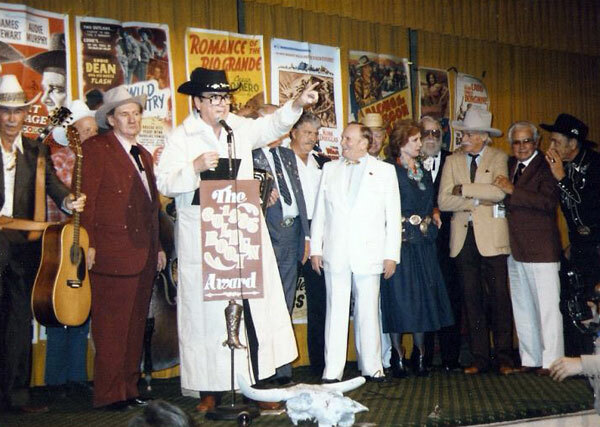 Bob Allen at the 1985 Atlanta Film Caravan. 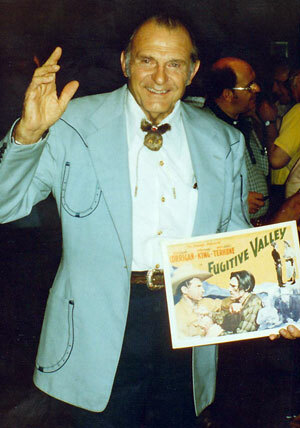 Bob Livingston signs an autograph at the Atlanta Film Caravan in 1985. 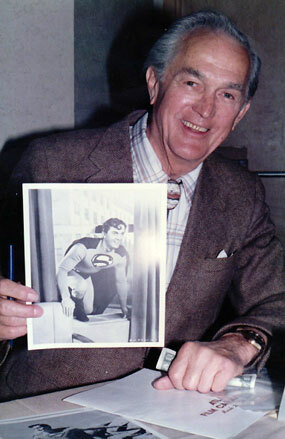 Kirk Alyn reminds us he was the original screen Superman. 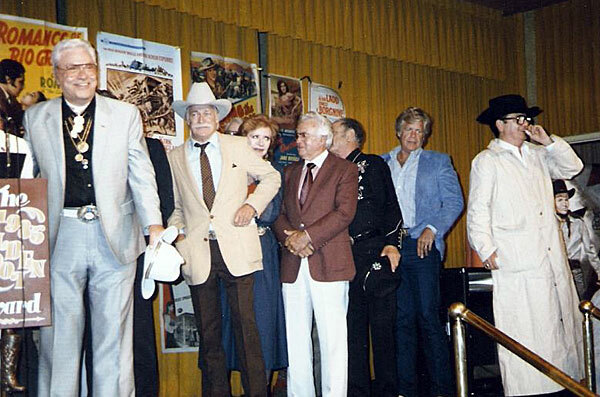 Taken at the Atlanta Film Caravan in 1985. 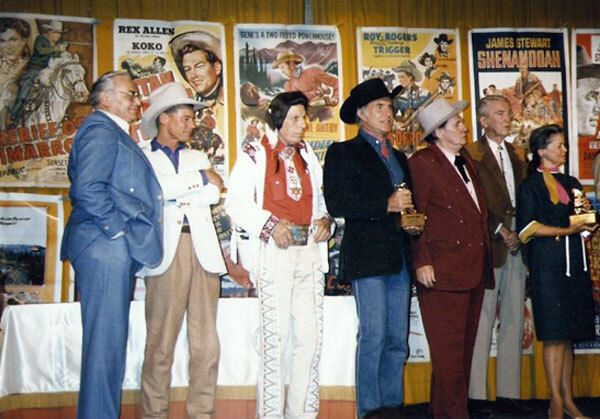 Golden Boot Awards 1985, (L-R) Ernest Borgnine, Jan Michael Vincent, Iron Eyes Cody, Ricardo Montalban, Pat Buttram, Jimmy Stewart, Pam Murphy (Audie's widow). 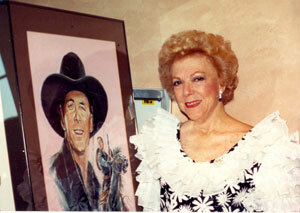 Virginia Vale poses beside a portrait of her favorite co-star George O’Brien at the August 1991 Golden Boot Awards. 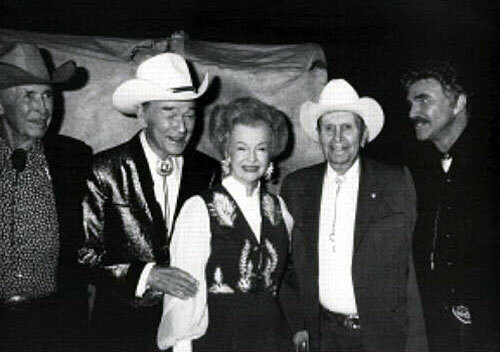 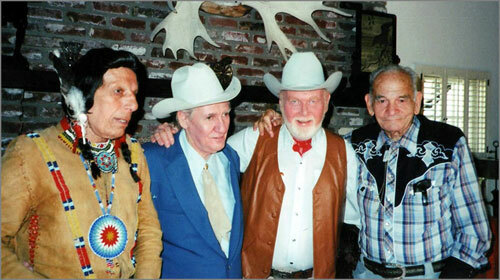 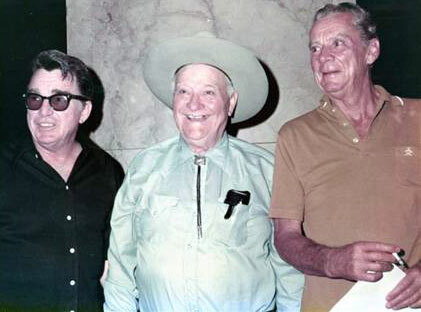 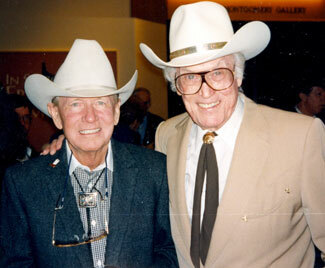 Chuck Courtney and Clayton Moore, Dan Reid and The Lone Ranger in October 1996. 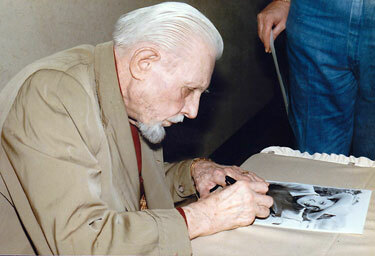 (Photo by Leonard Maltin.). 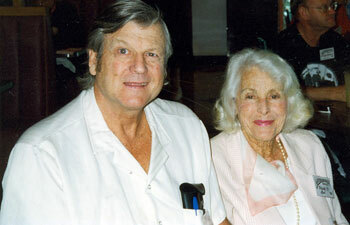 Golden Boot Award winner in 1996 Charles Bronson poses with photographer Kelo Henderson’s wife Gail. 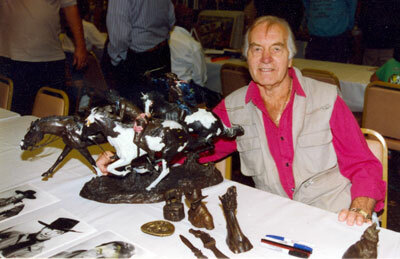 George Montgomery poses beside some of his bronze sculptures at an April 1993 Beverly Garland Hotel autograph show in North Hollywood, CA. 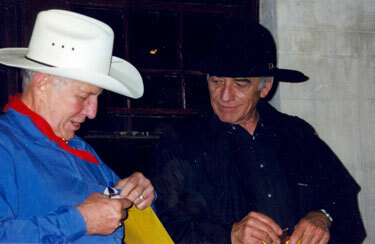 Jan Merlin and James Drury at a 1998 Film Festival in Cheyenne, Wyoming. 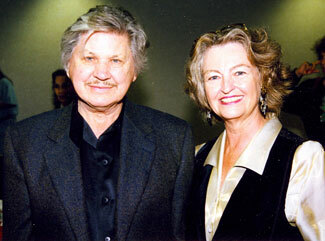 Gregg Palmer and Lori Nelson at the 1997 Knoxville Film Festival. 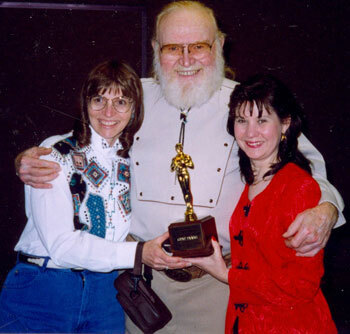 Donna Magers and Bonnie Boyd present Gene Evans with his award at the 1997 Knoxville Film Festival. 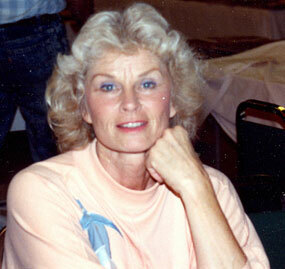 The beautiful Sheena Queen of the Jungle...Irish McCalla at a Beverly Garland Hotel autograph show in North Hollywood, CA. 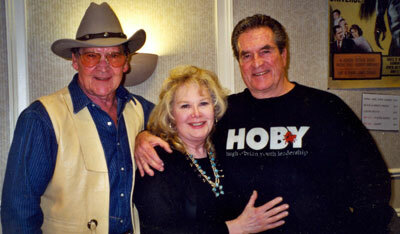 Husband and wife Dirk London and Jan Shepard with Hugh O’Brian. 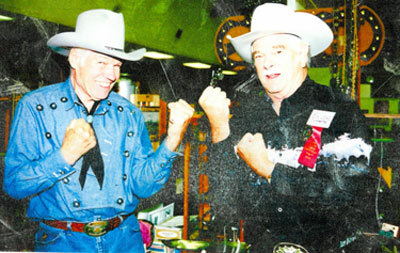 Dirk was Morgan Earp on O'Brian’s “Life and Legend of Wyatt Earp”. 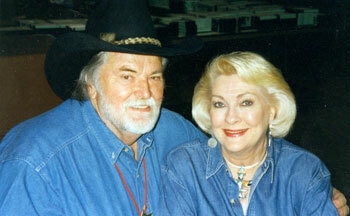 Photo taken in January 2002 at a Hollywood get-together.